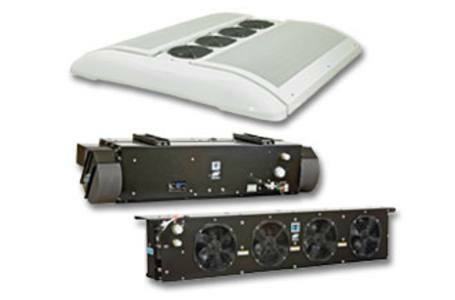 A heavy-duty air conditioning system with the added capacity for school bus and transit. 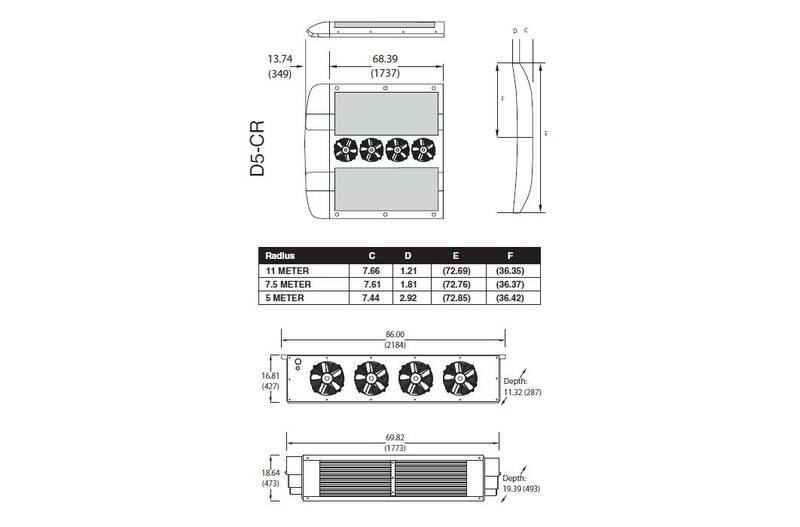 The D5 is a modular system consisting of an evaporator unit, D5-E, that is mounted at the back of the bus to the interior of the roof or on a structural attachment to the bus frame. The evaporator unit is connected to either an optional skirt-mounted condenser, D5-CS, or to an optional rooftop condenser, D5-CR. The supply air is distributed through ducts running on each side of the bus. Access to the fuse panel and circuit breakers is provided through a panel on the rear of the unit. The ClimaAire II™ Control System is Thermo King’s newest computerized control system. It provides the driver simple,but total, control of the vehicle’s internal environment. Also provided is safety shutdown with red light indication. The ClimaAIRE II diagnostic feature provides compressor and system hourmeters for preventative maintenance planning and scheduling. The system shuts down to prevent costly failure in the event of a system shutdown. A yellow alarm indicator and a record of alarm codes aid in troubleshooting and repair. Worldwide Service Organization: Thermo King backs its equipment and customers with a highly-trained, worldwide service organization. This assures you the support of factory authorized service facilities and a stock of factory parts and factory trained mechanics. Warranty Summary: Terms of the Thermo King Warranty are available on request from your local Thermo King dealer. Please reference document TK50049 for the Thermo King Bus Unit Warranty.